Listen to "006 Talking Business and Bartering with BoomDaddy!" on Spreaker. Today we find ourselves in a hotel lobby talking business and bartering with barter extraordinaire BoomDaddy! 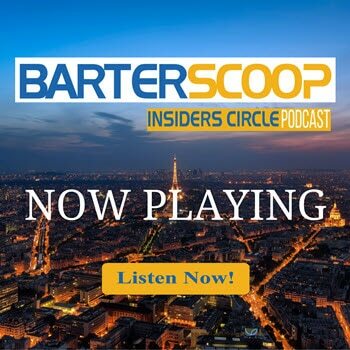 Join us as we sit down and talk to another veteran in the bartering industry! As an entrepreneur and liquidation specialist BoomDaddy has been trading for over 30 years. He shares with us his passion for bartering and his ability to turn excess inventories into huge opportunities.